You know me, I’m anti-clutter and slow to recommend acquiring more gizmos and gadgets, no matter how wonderful they might seem. 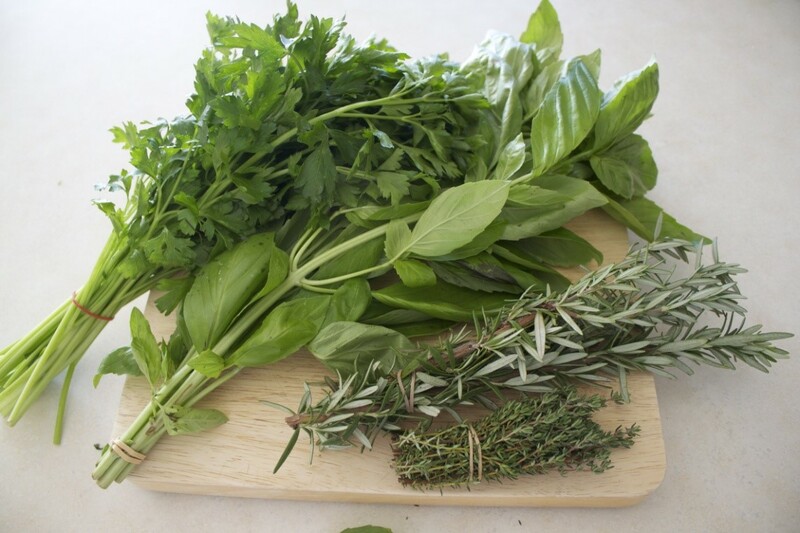 But I gotta tell ya, if you like cooking with FRESH herbs, then here are a couple tools that are “must haves.” They affordable, and best of all, they earn the space they take up. I love this because this makes it really easy to strip leaves from woody herbs like rosemary, thyme, lavender, sage and more. It’s an innovative stripper/measuring cup combo. 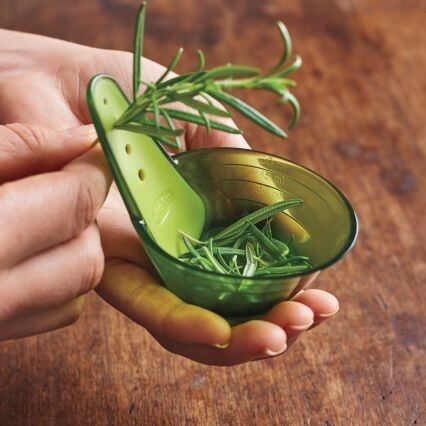 All you do is simply pull the herb stem through the correctly sized hole—the handy attached bowl conveniently collects and measures the fresh herbs. And back to the comment from the tester mentioned above (Jann K.): A key point she made is that this tool strips the leaves from fresh herbs without damaging them. That’s very important when cooking with fresh herbs—you don’t want to bruise or breaks the leaves (which is so easy to do when stripping with your fingers). When you do, they immediately start releasing their oils (not to mention the leaves then don’t look nice). While thyme is shown in the picture, testers said they also stripped cilantro, rosemary, parsley, and tarragon. Bottom line? 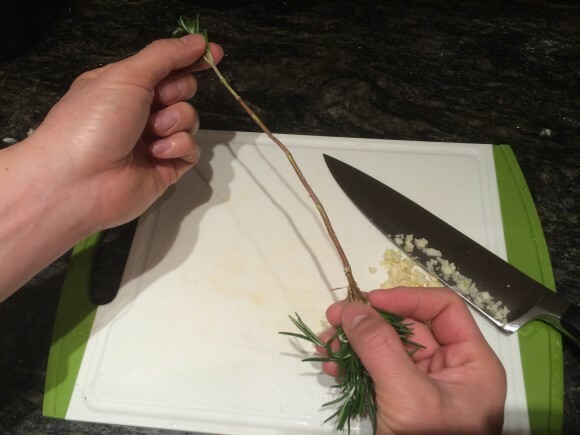 The Chef’n Herb Stripper makes the job of removing the stems from herbs so simple now. 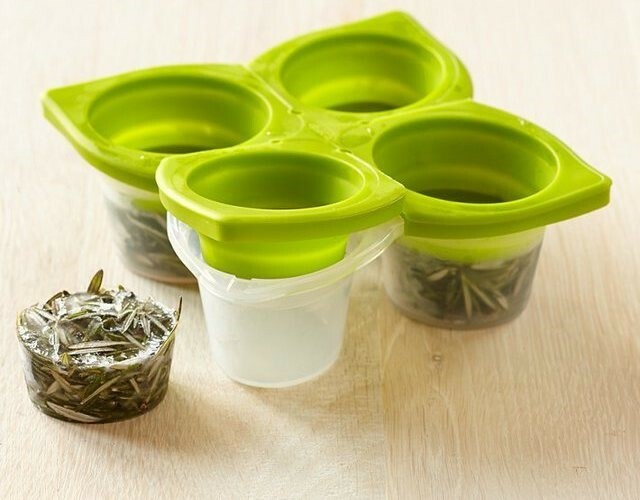 · Once frozen, you can simply open the cup of the desired herb without disturbing the contents in the other cups. You’ll notice most recipes call for a small amount of this or that herb, yet most grocery stores sell fresh herbs by the bunch. But I think the Chef'n Spice Cube saves the day. Leftover herbs that usually wallow in the bottom of the fridge now have a new lease on life. Simply fill each section with leafy herbs, then press down on the individual lid sections to create a tight seal. Finally, just use your herbs as you need them—the frozen herbs are always ready to be added directly to soups, stocks or sauces. Considering all the health benefits fresh herbs contain, we really should be using them more. But they can be such a hassle, and too often they go bad before we can use them all up, so there’s the waste issue. And that’s why I’m loving these two tools. They fit my kitchen mantra perfectly, which is “Make it easy and we’re more inclined to do it.” These time-savers make using fresh herbs really easy!